Richard Linklater's Before trilogy began in 1995 with Before Sunrise, in which the Ethan Hawke and Julie Delpy characters meet, followed in 2004 by Before Sunset. In the first installment, Jesse and Céline strike up a conversation on a train, then wander about Vienna over the course of a single night, talking. Before departing they agree to see each other in six months. The second installment occurs nine years later, the six-month assignation not having taken place. Jesse is in Paris promoting the book that meeting Céline inspired, and after the reading, spots her. He has a plane to catch but time to talk and stroll through Paris, which brings them to her apartment. In the final shot she warbles along with Nina Simone, "Baby, you are gonna miss that plane." Now, in Before Midnight, we find the couple another nine years later, visiting friends in Greece, with twin girls and Jesse's son, Hank. They put Hank on a plane to return to his mother, who has custody, and their friends give them a gift of a hotel room for the night, where they continue talking. These are some of the talkiest movies ever made, and within the first 10 minutes of each one, I am certain it is going to devolve into narcissistic navel-gazing, but none of them do. They gain relational momentum as they go along. They are remarkably well acted, perhaps because the scripts are a collaboration between Richard Linklater and the actors themselves. The Hollywood Film Award for Screenwriter of the Year went to the trio. The characters are likable but flawed, and their endless talk is reflective not egotistical, what Socrates meant when he declared that the unexamined life is not worth living. What this director and his actors have created in this trilogy is a contemporary Socratic dialogue. I loved the original Star Trek TV series but have had no interest in the movies. The only reason I went to the most recent one is because Benjamin Cumberbatch plays the villain. And, boy, does J.J. Abrams need him. As A.O. 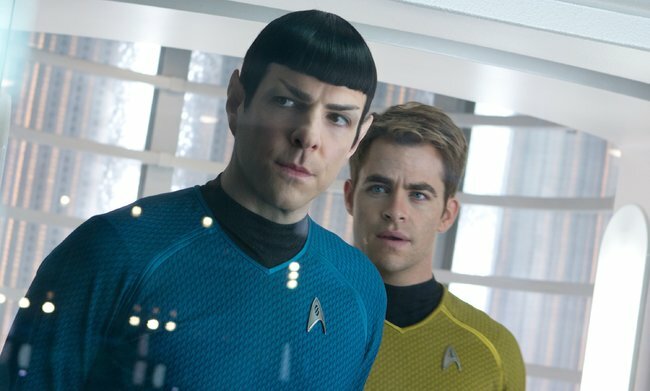 Scott observes in his review of Star Trek Into Darkness, "Whether playing a hero or a villain, he fuses Byronic charisma with an impatient, imperious intelligence that seems to raise the ambient I.Q. whenever he’s on screen." Abrams studied at the feet of Steven Spielberg, and it is obvious in the overblown CGI and the blatant nods to Star Treks of yesteryear, which could be fun were there not such a "Did you get that?" sense about them. Like Spielberg, there is an annoyingly adolescent air about everything Abrams does. Silly special effects aside, the cast does a respectable job of inhabiting characters we have known for half a century, and having Cumberbatch in the mix does not hurt at all! 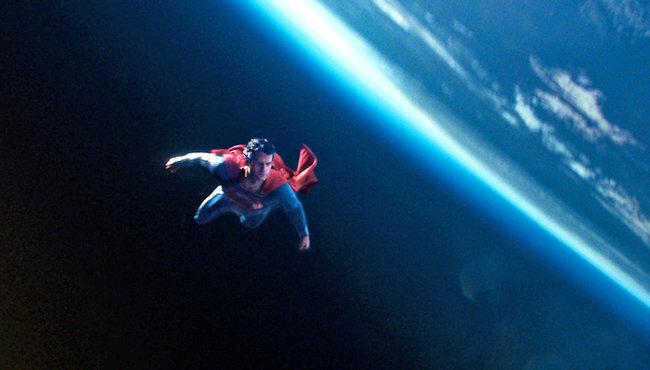 In Zak Snyder's origin story, Superman: Man of Steel, Krypton has brought about its own destruction through its reckless consumption of energy. Kal-El has just been born into the end days, so to ensure his survival his parents pack him into a capsule and shoot him into the galaxy from whence he lands in a kindly farmer's backyard somewhere on British Columbia's coast. Mr. Kent, the farmer, and his wife raise the boy they name Clark, who seems high strung but it's due to x-ray vision, superhuman hearing and eidetic memory, of which they are unaware. We learn all this and more about his youth through a series of flashbacks throughout the film, the zigzagging of which Snyder handles quite deftly. Manohla Dargis's review for the New York Times is as close to a comprehensive analysis of the film as the average person could want. She cites What Makes Superman So Darned American and Gary D. Engle's insight that "Superman raises the American immigrant experience to the level of religious myth."